Whether you are looking for formulation development, manufacturing, custom packaging or help with distribution, PL Developments Contract Services has solutions to meet your needs. PL Developments specializes in bringing pharmaceutical and consumer health products from inception to packaging and distribution. Our facility network of more than 1 million sq. ft. complies with the most stringent FDA and cGMP requirements and includes a comprehensive analytical laboratory, as well as a diverse mix of manufacturing and packaging equipment. 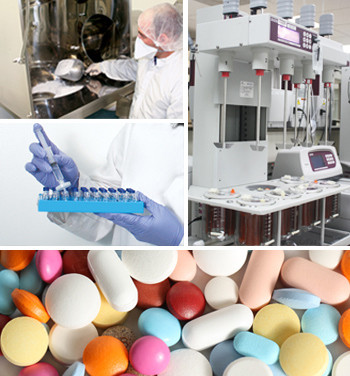 PLD can manufacture a full selection of solid and liquid oral dose products. Our solid and liquid dose packaging operations are large, modern, and efficient with climate controlled and segregated positive pressure filling suites, offering run size flexibility. Contract packaging services include bottles, blisters, cartoning, promotional and display fulfillment, logo/label/packaging design, supply chain management, retail distribution, and customer service.